Take a closer look at our Pedders range of TrakRyder 4X4 & SUV kits. 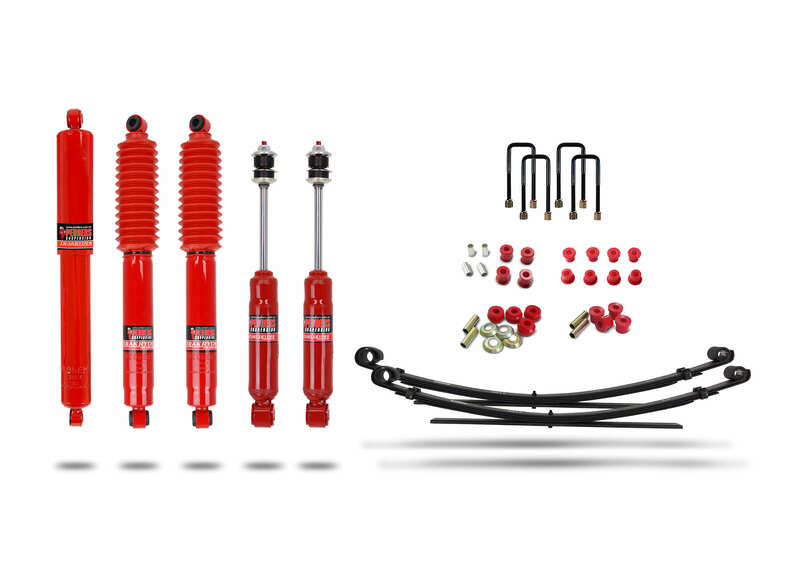 Pedders offers a vast selection of quality TrakRyder 4X4 & SUV suspension kits for motorists looking to upgrade or replace their vehicles orginal equipment. 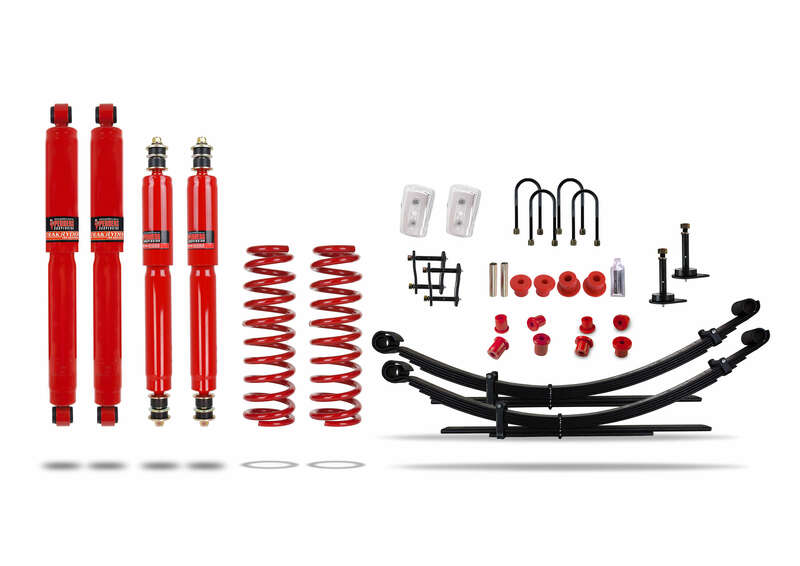 A typical TrakRyder Suspension kit includes coil and or leaf springs plus shock absorbers. Options include Touring, Expedition & Outback, 4″ (inch) Lift Kits each designed with common driving requirements in mind. 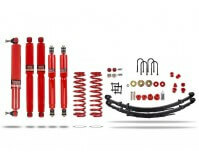 For other vehicles that carry loads often we offer GVM+ Upgrade Suspension Kits. 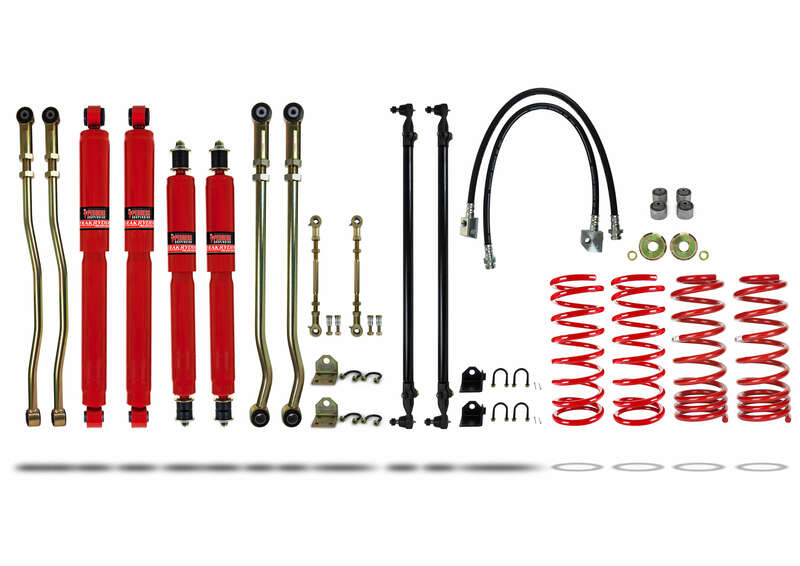 Ideal for Fleet vehicles and Tradies our range of GVM+ suspension kits is the largest in Australia. 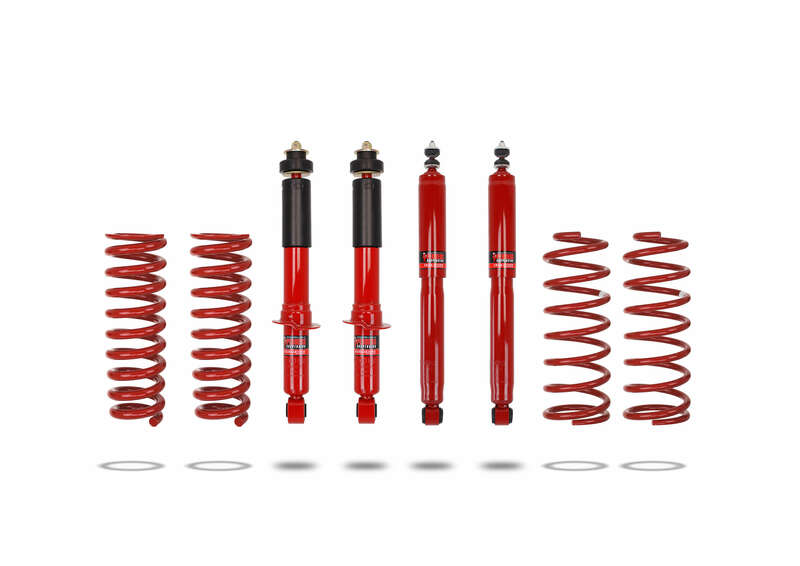 The spring and shock absorber rates were developed to provide an improved ride quality, a reduction in body roll and improved stability. 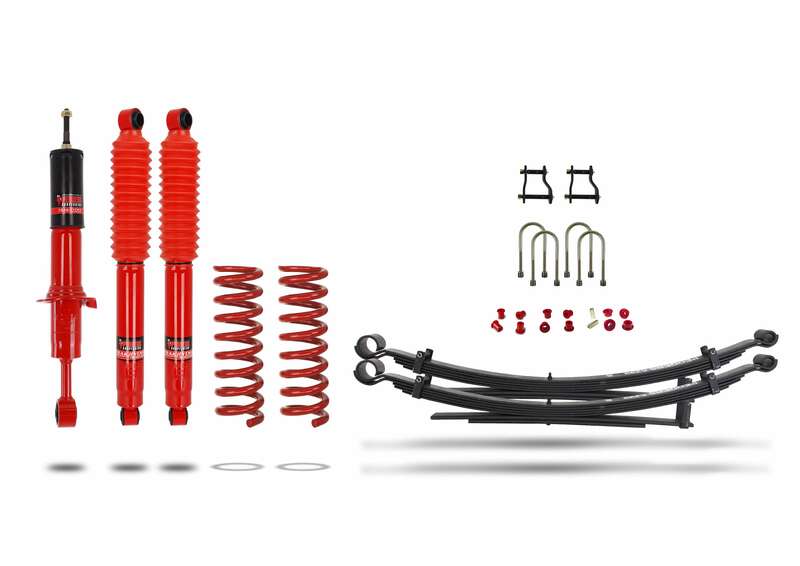 This kit is primarily designed to return the vehicle’s ride height to its original specification (up to 0.5”/13mm lift) and to reenergise the suspension capabilities through the addition of new shock absorbers. Compatibility: For vehicles used primarily as a commuter vehicle with general use, such as commuting to and from work or the occasional long distance road trip as well as the odd occasion of travelling “off road”. This kit would be suitable for vehicles fitted with, a nudge bar, driving lights and standard wheels and tyres. The kit will also slightly increase the capability of carrying a slightly heavier load such as a bike rack, sporting equipment for your favourite pastime and for light weight towing. 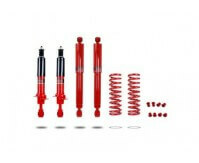 The spring and shock absorber rates were developed to provide an improved load carrying capacity, with the advantage of increasing the stability in the way of less body roll, while, at all times having consideration for the ride comfort. 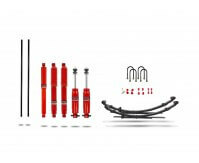 This kit is primarily designed to reinstate the ride height to as new with a minor enhance of up to 1” (25mm). The Expedition Kit will also improve the braking and steering of the vehicle when towing, provided you have a weight distribution tow pack fitted. Compatibility: For vehicles used as the primary towing and/or load carrying. Ideal for carrying heavy loads, towing horse floats or caravans and have the odd weekend of fun in the bush. This kit would be suitable for vehicles fitted with a nudge bar with driving lights, standard wheels and tyres and general equipment such as a fridge or tool box, but not excluding vehicles with extras such as: roof racks, long range fuel tanks, a rear drawer storage system and tool boxes. 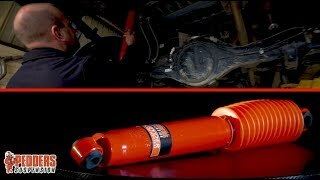 The spring and shock absorber rates were developed to provide improved ground clearance, increased suspension travel while improving vehicle stability on all road surfaces. This kit provides improved articulation on uneven road surfaces and improves tractability of all four wheels in difficult situations. It also allows for increased loads, such as camping or similar equipment. The increased ride height of up to 2” (50mm) enabling the vehicle to have the ability to drive through selected river crossings as well as improving the entry and exit angle of severe undulating terrain. Compatibility: For vehicles being used for on and off road as well as general commuting. Ideal for towing caravans, horse floats, camper and general trailers. The kits would be ideal for vehicles fitted with a bull bar and driving lights, a dual battery system, standard wheels with off road tyres fitted. The kit does also have the ability to manage the extra weight of items, such as under car protection plates, roof racks, long range fuel tanks and rear drawer storage systems. If you think that your vehicle is often prone to being overloaded, then consider having the vehicle checked and weighted at your local Pedders outlet. Pedders offer GVM+ suspension upgrade solutions for selected vehicle models to assist in compliance for GVM ratings. The reason for this solution is to satisfy O.H.& S. requirements, motor vehicle insurance, warranty issues and general road legal policies. Plus they help the vehicle ride smooth and perform to its potential in terms of ride, braking and performance. Through exhaustive and detailed testing, the Pedders GVM+ Upgrade Kits have been approved by the Federal Department of Infrastructure and Transport. In fact every GVM+ kit produced by Pedders undergoes extensive stability control testing as part of our rigorous R & D processes. The kits are designed to improve the handling and performance of the vehicle under towing and load carrying situations with an emphasis on compliance to regulatory authorities. Browse our range of Pedders TrakRyder Kits and more for your vehicle.